Hygiene and Health are just a few reasons as to Why you should clean the chicken coop. Chicken Health is important but keeping the coop clean can also prevent the spread of mites also. Let's look at the importance for you so you can begin to appreciate the benefits for your chickens and poultry. Healthy chickens live in a healthy environment. You can help keep your hens in tip-top shape by preventing the build-up of bacteria and disease caused by faeces contamination. Also, keep it safe for the children and family by helping to prevent bird to human contamination. Disease prevention is always better than cure. It is also another great reason Why you should clean the chicken coop. Coccidiosis disease in Laying Chickens spreads fast throughout a flock. By their natural behaviour, chickens scratch around in the dirt looking for food. The disease can spread if a chicken consumes a sporulated oocyst found in the faeces of an infected chicken. While there are treatments available to treat Coccidiosis, you can help prevent infection of the flock by managing the droppings. If you think one of your hens is infected, you should isolate the sick one immediately from the flock. Treat the infected bird and quarantine them until they are healthy. Then perform a throughout cleanout of the coop or pen including Feeders, Waterers, Lubing Cups, Replace bedding and disinfect the entire coop. Putting aside the neighbours, smelling a foul (pardon the pun) chicken coop is a perfect reason Why you should keep your chicken coop clean. If your coop has easily accessible cleaning trays, then the more regular they are emptied and cleaned the less smell. Chicken manure tends to pile up in a coop if not taken out. So attending to this allows you to keep chickens without the smell. Let's face it. You wouldn't want to live in a room with poop in the corner, and your hens feel the same way. By removing the manure from the coop, you are also protecting your feathered friends from nasty diseases and pests. Another reason for cleaning the manure from the coop is rodents. The two main reasons rodents are attracted to a chicken pen is feed on the ground and also the smell. If you keep the feed on the ground to a minimum and also keep the manure smell at bay, you lessen the likelihood of rodents. The Best way to combat mites is by keeping the pen or coop clean. Mites, bugs and other parasites find their way into the coop by hitching a ride on other birds like crows and pigeons. Once there, they find a spot to breed until they start biting the flesh of your hens. Before this happens, you can clean the coop naturally with Apple Cider Vinegar. Do not underestimate mites. Low numbers irritate Chickens. Red Mites in large enough quantities can cause death to your Hens. Another option for killing off minute pests and bugs is to treat the coop floor with boiling water. Once the coop is dry, replace the bedding. 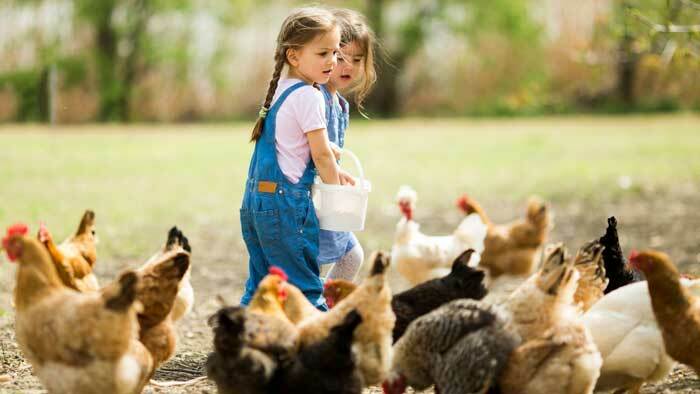 If the chickens and poultry are afflicted, David Grays Poultry Dust Powder can be applied to the hen to kill off mites, ticks and also fleas. The simple reality is mites can be lessened and controlled by regularly cleaning the coop. The prevention of Fleas, Ticks and Mites is a Top Reason Why you should clean the chicken coop. Your lady friends in the coop provide you with delicious fresh eggs so return the favour by cleaning their coop. Cleaning doesn't have to be a significant chore. Turn on the radio. Plug in your favourite tunes. And get to work. Once finished take the time to appreciate what you have done for your ladies. How often should you clean the Coop? Depending on the number of hens you have we would recommend a tidy twice a week and a major clean once a month.